← Image to Raster Vectorize -- Convert image to vector formats, include Metafile EMF, WMF, PDF, DWG, DXF, EPS, SVG etc. formats. The interactive user – The user that is currently logged on to the machine hosting the COM application (use this if you are going to access MS Excel and make it visible). 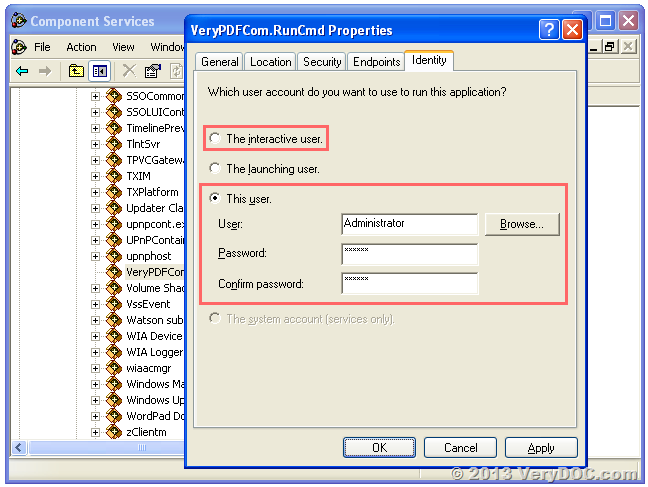 This user – Specify a user account that will always be used to run the COM application regardless of which user is accessing it. This entry was posted in DOC to Any Converter, docPrint Pro and tagged doc to any, Office to PDF. Bookmark the permalink.